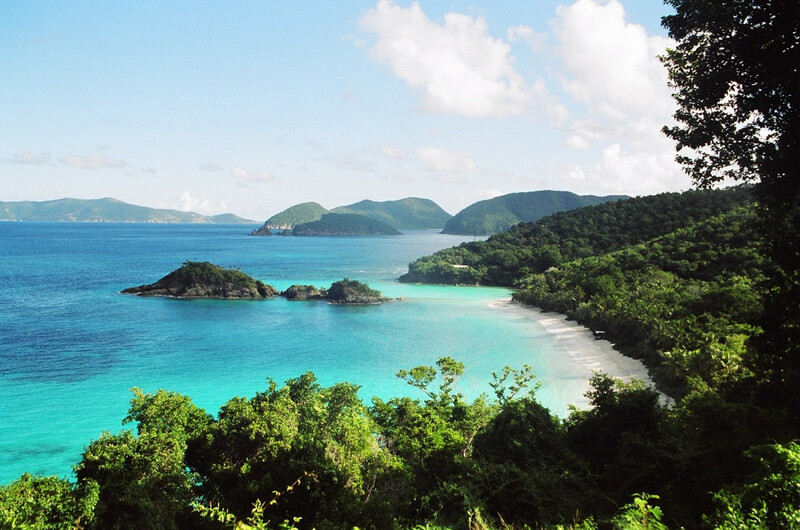 White sand beaches, deep turquoise water, palm trees swaying in the tranquil breeze—Virgin Islands National Park is the very definition of a tropical paradise. The 14,737 acre park owes its existence in large part to Laurance Rockefeller, the champion philanthropist who generously donated to many of the US National Parks. He was enamored by the pristine wilderness and funded the bulk of the expense to create the park in 1956. The preservation of native wilderness brought about a new era of peaceful stewardship that had taken nearly 500 years to achieve. On Christopher Columbus’ second trip to the Americas, he made landfall on the island now known as St. Croix in November 1493. At that time, the island was occupied by the native Carib people, though it had been previously inhabited by the Arawak tribes who had lived scattered throughout the West Indies. What followed was a dark era of slave trade, plantation growth, and military holdings by several European countries, including the Spanish, the French, and the Danish. The United States acquired the Virgin Islands in 1917 from Denmark for 25 million dollars with the idea of using the area as a military outpost. With the outcome of World War I still undecided, the US gambled on having a strategic foothold in the Caribbean should German influence continue to grow. As a US Territory, the island first served primarily as a naval base until the 1930s, when the lifting of prohibition added agriculture as a secondary use of the land. A submarine base was built in response to World War II and when the war ended, the US Virgin Islands slowly converted to a tourism-based economy with the national park anchoring the new vision for the islands. There are three primary adventure aspects of the park: snorkeling / scuba, hiking, and historical tours. It’s also a popular place for windsurfing, boating, kayaking, trail running, and in recent years, standup paddleboarding. Because impossibly clear, warm oceans define the park, let’s start in the water—after all 40% of the park is actually underwater. 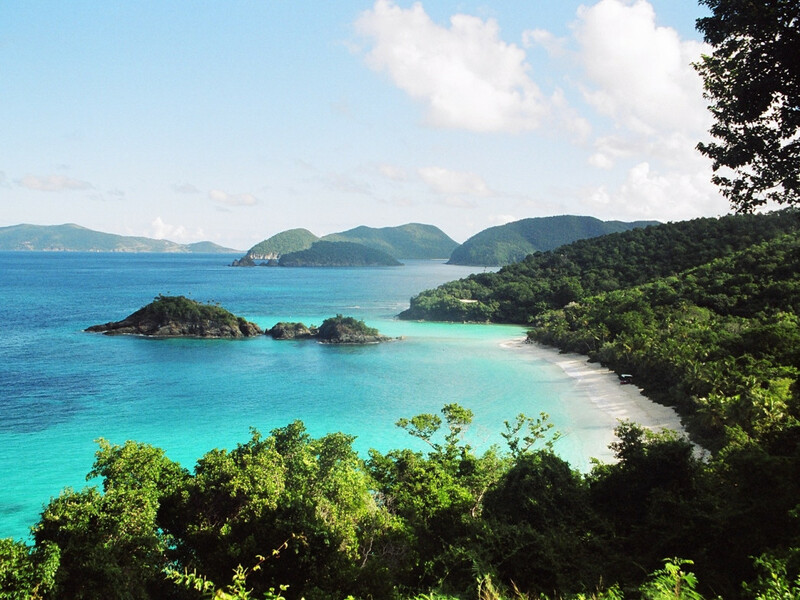 Trunk Bay is the most popular destination for most visitors. The white sand beach has lifeguards on duty throughout the year, but never fear—the water is calm, quiet, and a great place to snorkel. The Underwater Trail (exactly what it says) is an out-and-back snorkeling adventure that heads 300 feet into the surf, where brainy coral reefs and legions of brilliantly colored fish decorate the shallows and underwater signs offer information about the area. 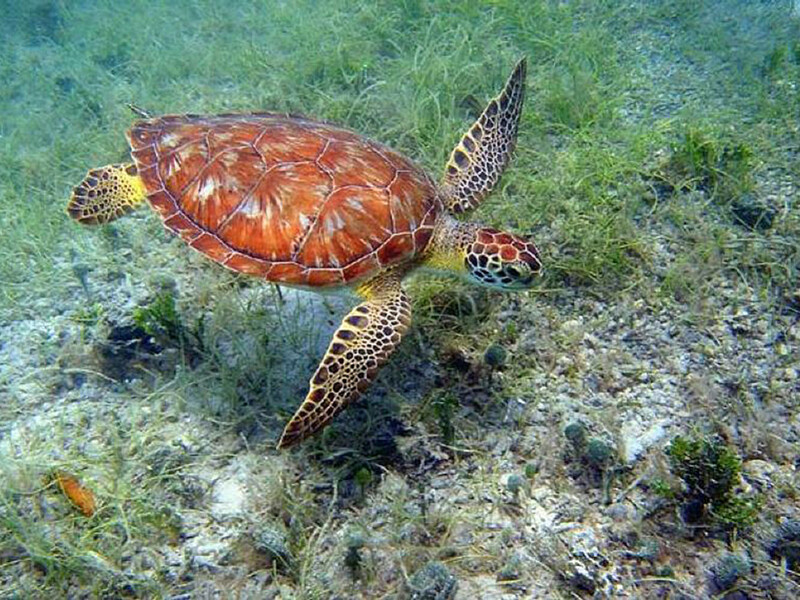 Maho Bay is the place to go if you want to make acquaintances with sea turtles. The curious reptiles seem to be intrigued by divers and often come right up to people to say hi. Finally, Francis Bay is the place for beginners and those who are a little nervous at the prospect of snorkeling or scuba diving. Many species of fish dart about in the clear water and the floor of the ocean is only around 10’ deep—a great way to get used to wearing flippers, mask, and snorkel. St. John's is the best place for hiking, with over 20 established trails. Many of the trails are mellow affairs, often traversing boardwalks and along the shimmering, white beaches. The sights and sounds of paradise include a collection of colorful birds, fragrant flora, and of course, miles and miles of beach. Lind Point Trail is a 2.2 mile out-and-back trail that passes through grassy fields, forests, and eventually reaches several scenic beaches. It’s an excellent sampler for what the island has to offer. Salt Pond is a nice, quarter mile hike to the beach, where the Ram Head Trail joins and ascends a rocky roadbed roughly a mile up a slight incline. 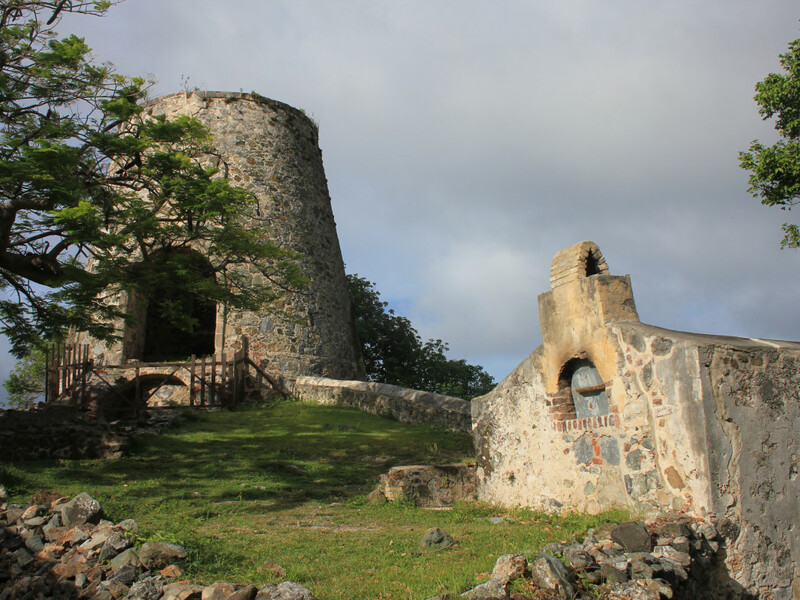 Finally the Cinnamon Bay self-guided tour is a must-see for history buffs. It ventures through plantation ruins, with signs telling the history of the island. Most people would figure that camping on the beach would be off-limits but in fact, the Cinnamon Bay Campground operates in the park. Visitors can reserve a tent platform, small cottages, or beachfront cottages. Rates change throughout the year but range from $20 - $160 per night ( check here for current rates ). There is diving and hiking right from the campground, so it’s a nice place for base camp. The Reef Bay Trail is an excellent and challenging outing for those eager to pump up their heart rates. This 4 mile round trip trail begins by descending 900 vertical feet through dense tropical forests to a well-earned beach sanctuary. And of course what goes down, must come up—the return hike can be a lung-buster, but it's a nice workout for those willing to take on the adventure. Make sure to check out the petroglyphs along the way. Finally, Brown Bay is accessible by trail or boat and offers a unique, off-the-beaten path body of water to fish, paddle, snorkel, or swim in. It takes some time to actually arrive at St John’s, where the majority of the park is located. You’ll need to take a boat over from St. Thomas, so make sure to set up all your logistics beforehand. The Cruz Bay Visitor Center is worth a visit, even for those adventurous souls who tend to eschew such places. There’s a lot of good information from the local rangers and if you ask nicely, they may point out some of the best-kept secret locations in the park! Huge leatherback turtles regularly nest on the beaches in the park. They are truly spectacular to behold. Ask rangers about witnesses a night hatching as hundreds of small turtles head to ocean to face an unknown fate. Among the critters you’ll see while snorkeling are local octopus, who can be very well camouflaged on the ocean floor. Keep your eyes open for them! 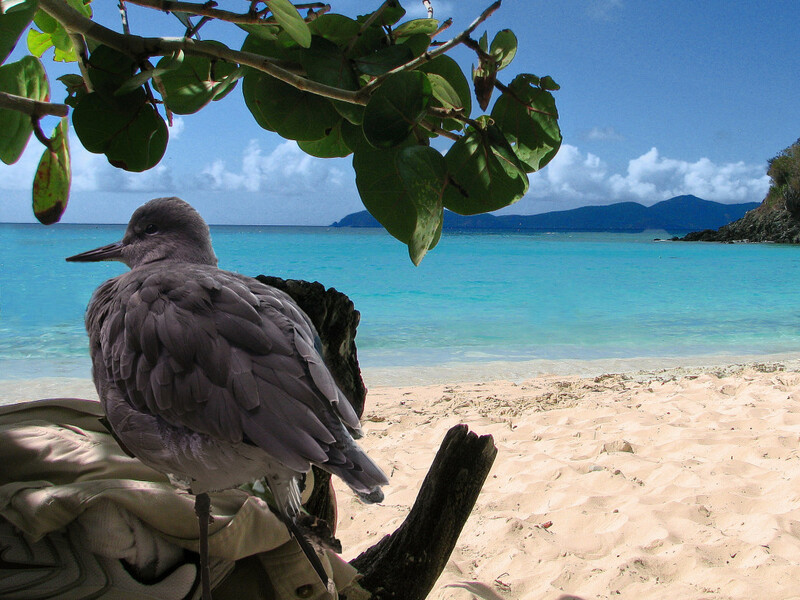 The temps in the Virgin Islands average around 80 degrees year round, so there’s never really a bad time to go, but depending on your interests (birding, turtle nesting, off-season rates) you will want to time your trip accordingly.